What Is Considered An Outdoor Fountain? Outdoor fountains, also called fountainscapes or water features, are small decorative water features where the the water recirculates from a pump at the bottom of a reservoir. 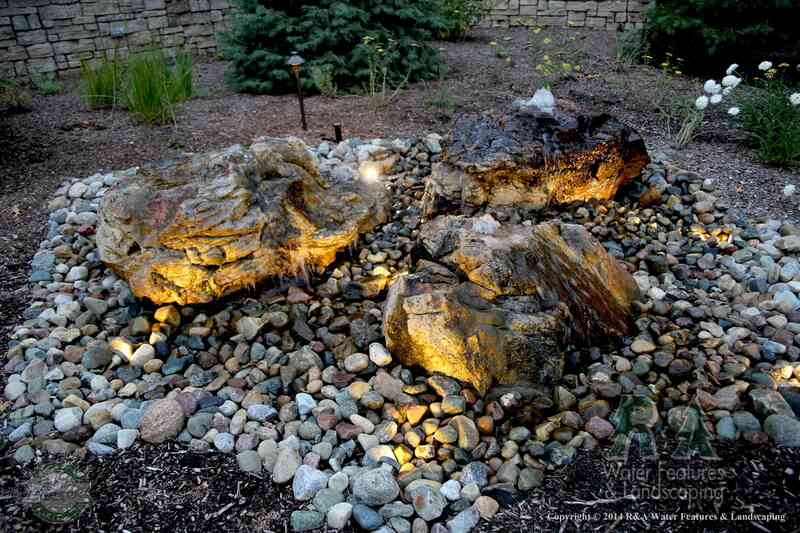 Below are some of our most popular outdoor fountains. These can be grouped together for a larger impact, or individually they are stunning as well. These are perfect for areas near patios or walkways and work wonderfully in smaller spaces. Working in the same way as the basalt columns. A drilled rock will always be unique, due to the nature of the rock. 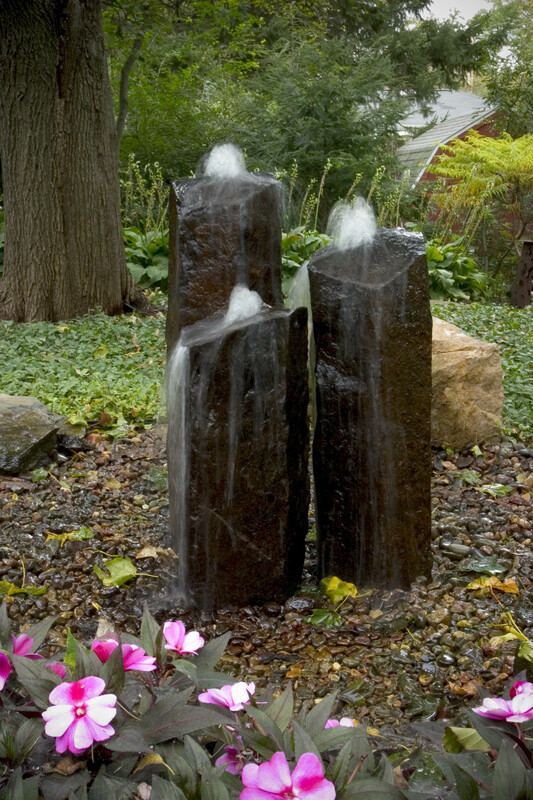 These look great nestled into the landscape, incorporated with other fountains or larger water features, as a focal point, or near entrences. Fountains are a great way to get start adding water features to your landscape and they are easy to maintain and kids love them! Local wildlife, especially birds, will also appreciate having a place to stop by for a drink. 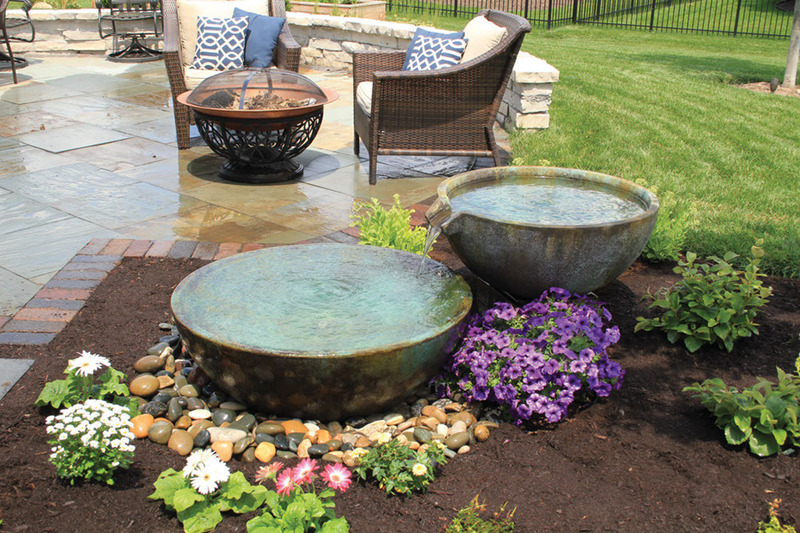 Fountains work wonderfully for small spaces or incorporated into larger spaces. Placed by a walkway or patio, guests are sure to enjoy the sights and sounds just as much as the homeowner. Fountains also have the ability to have aquatic plants added, just make sure they are not fast growing; fast growing aquatic plants can take over when freely planted.